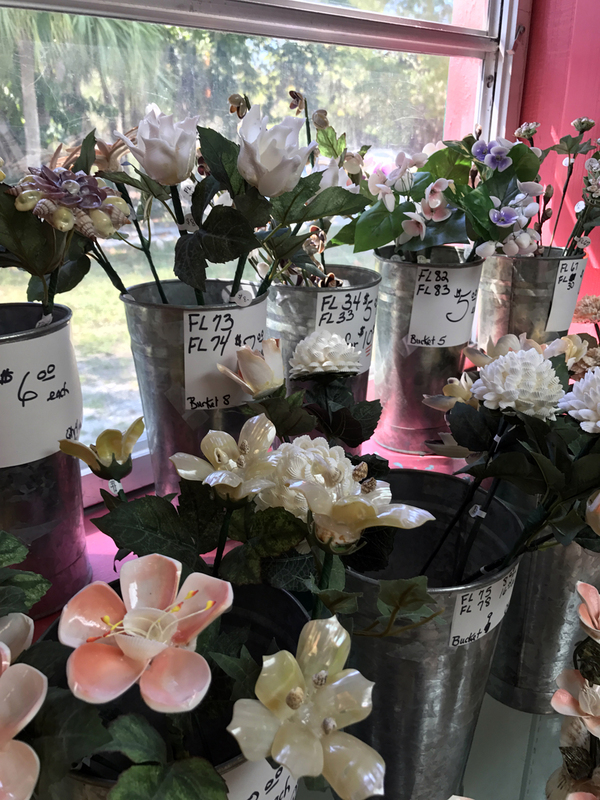 During our mini Floridian road trip, our first stop was Sanibel Island, Florida. We were largely there to spend time in the J.N. Ding Darling National Wildlife Refuge, but as soon as we turned onto Periwinkle Drive (the main thoroughfare of Sanibel), I wanted to stop everywhere! We traveled to Sanibel many times when I was younger, and I would love nothing more than to make another trip there soon. 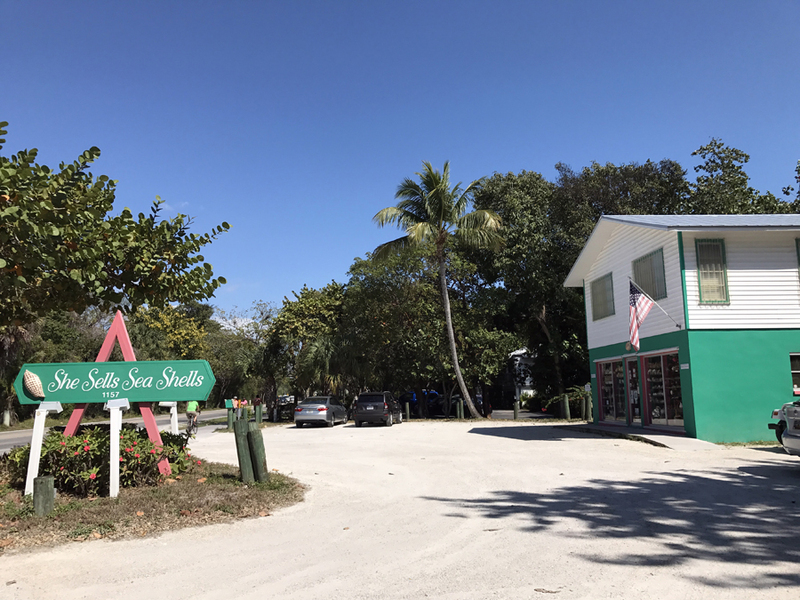 I pulled into the parking lot when we approached She Sells Sea Shells, a Sanibel Island mainstay. 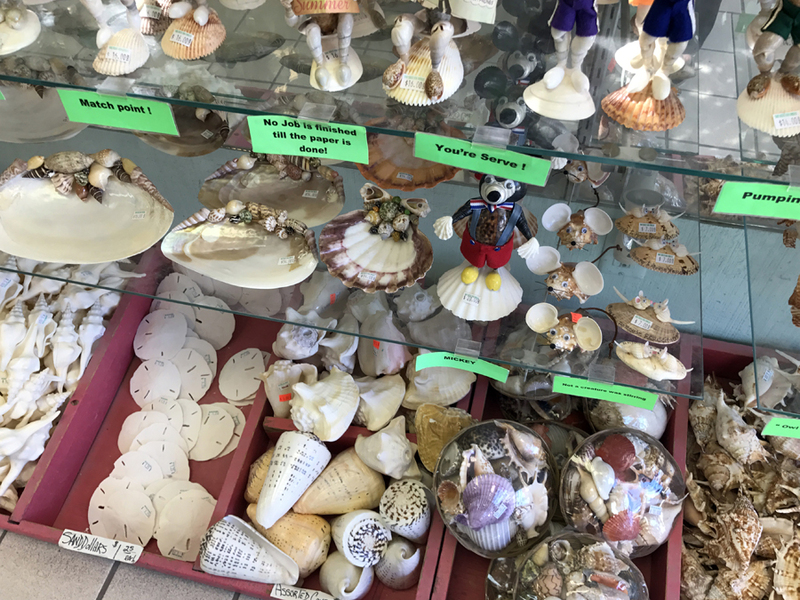 She Sells Sea Shells has been in business since 1976! 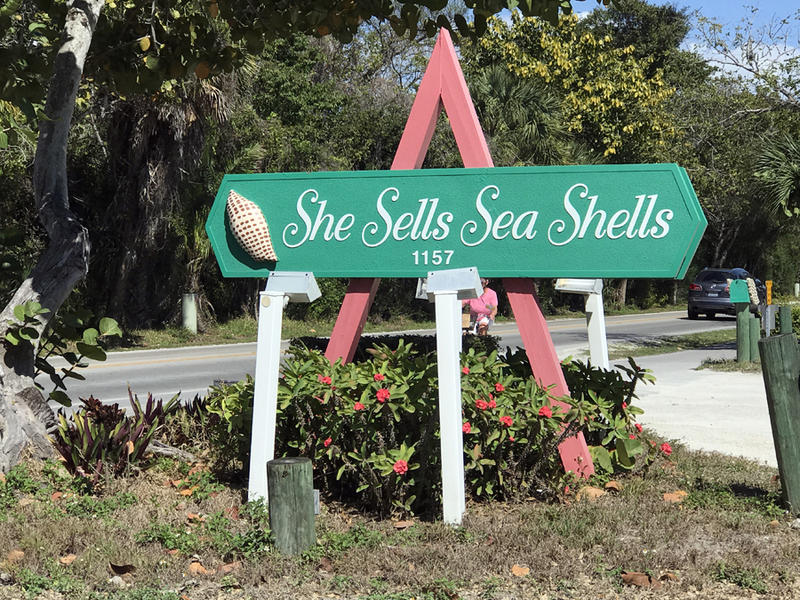 Featured on the sign is a Junonia shell, a holy grail for shellers. So. Many. Products! 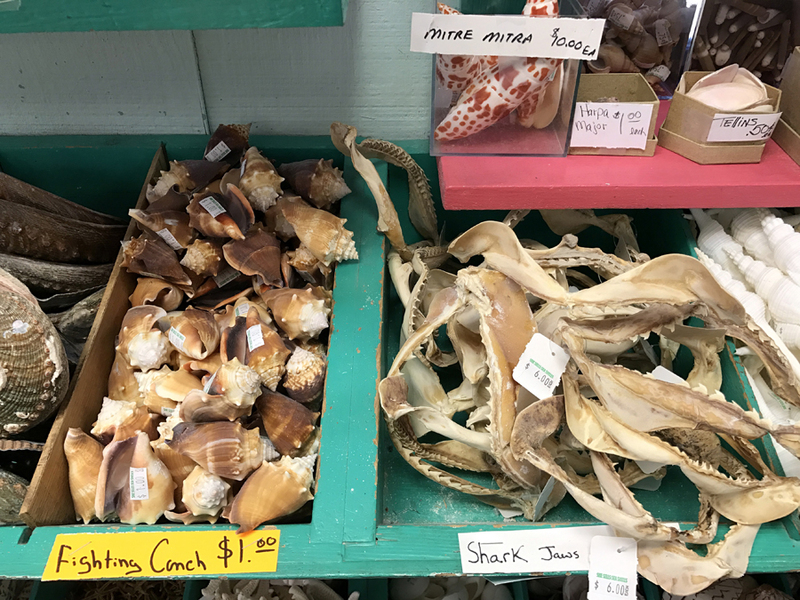 You can see more Junonia shells, real ones, in the display case on the left. 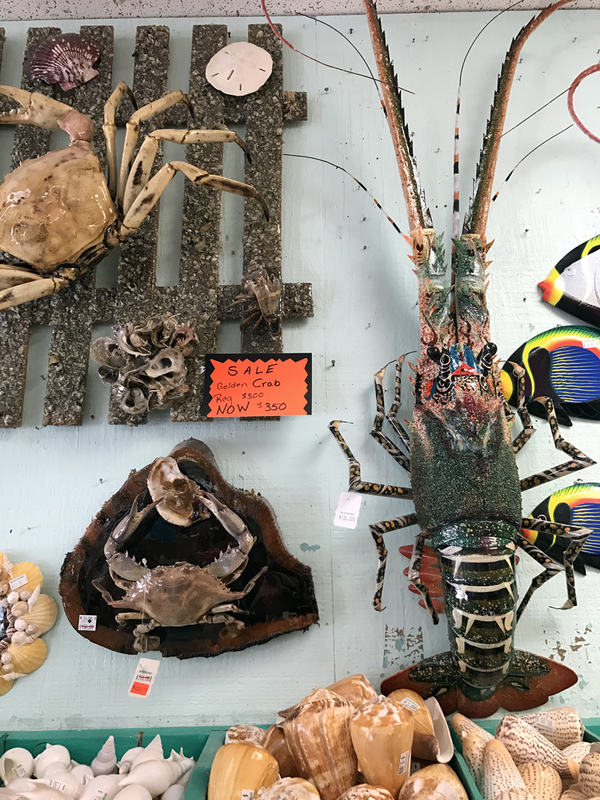 There seems to be endless shell art – the creativity is impressive. 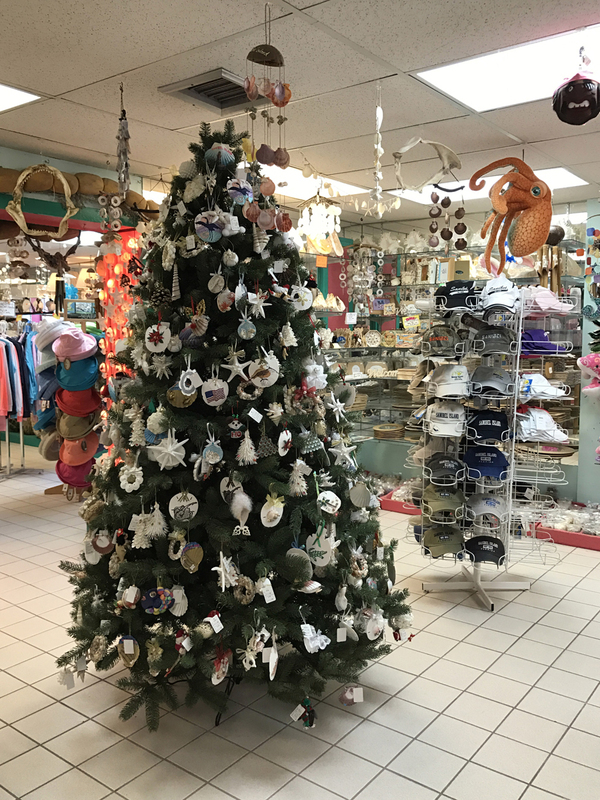 Christmas tree ornaments of all shapes and sizes are available. 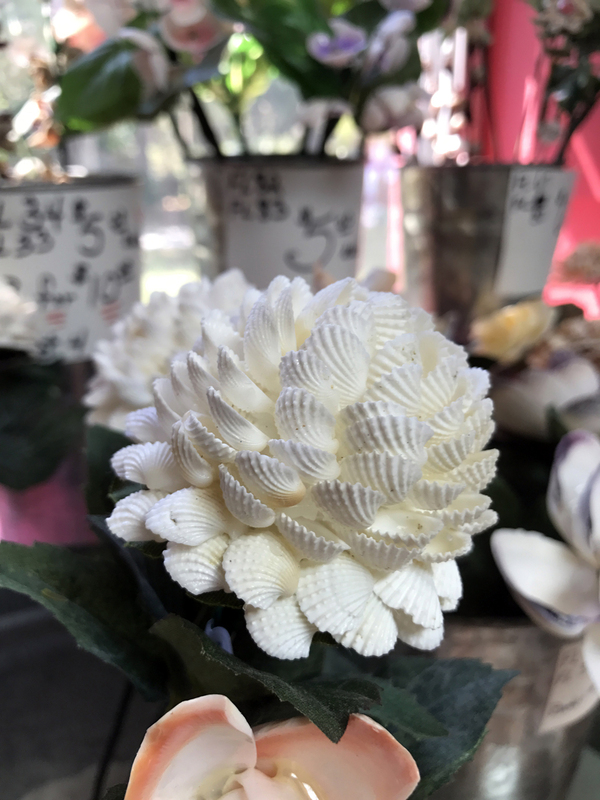 These are flowers made from shells! 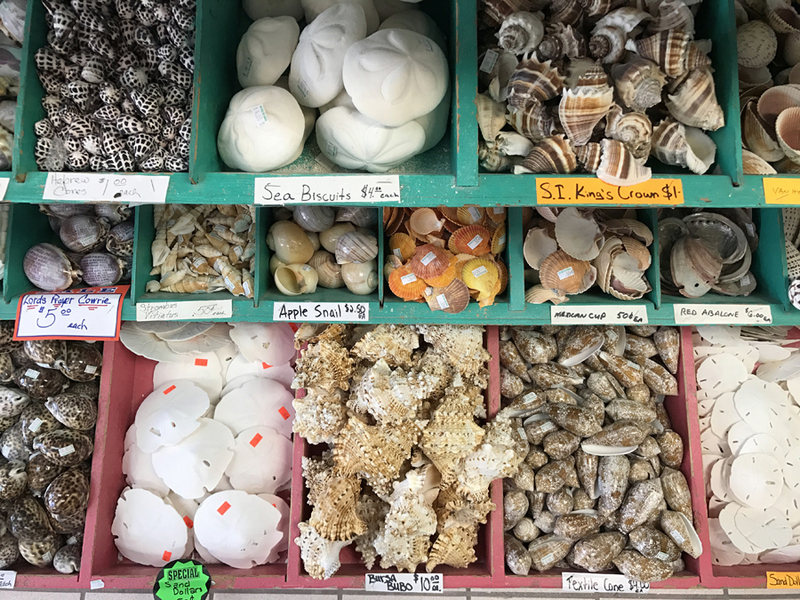 Of course, there is a huge section of open stock shells in the store. 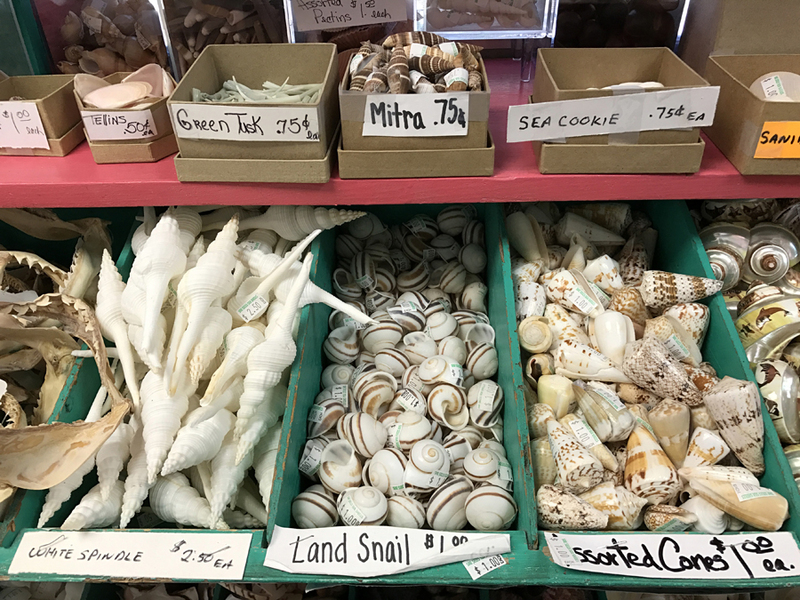 I went shelling a bit on a Sanibel beach later that day, and I didn’t find anything that looked like this, so I can see why people might want to buy them. 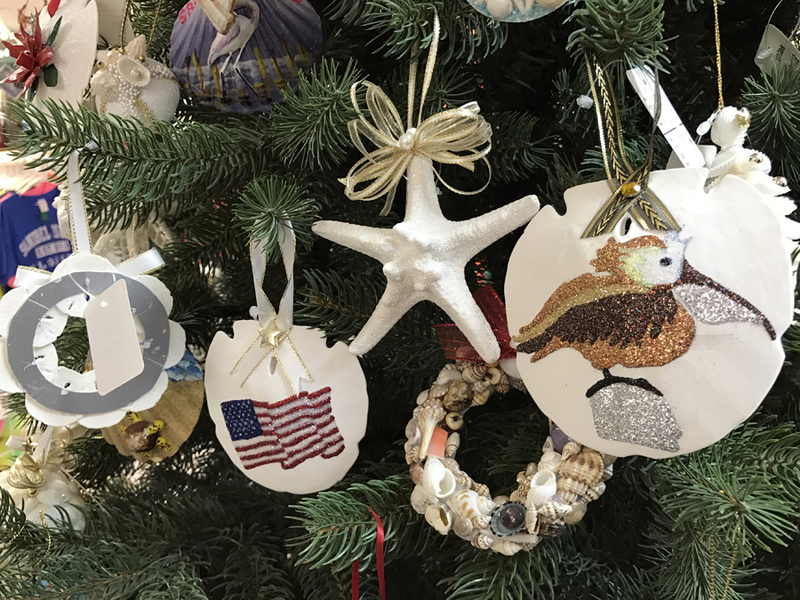 Do you need decor for your beach house or shore house? Look no further! There were mobiles all of the store. I don’t know how you get one of those home with you, but I find them incredibly charming. 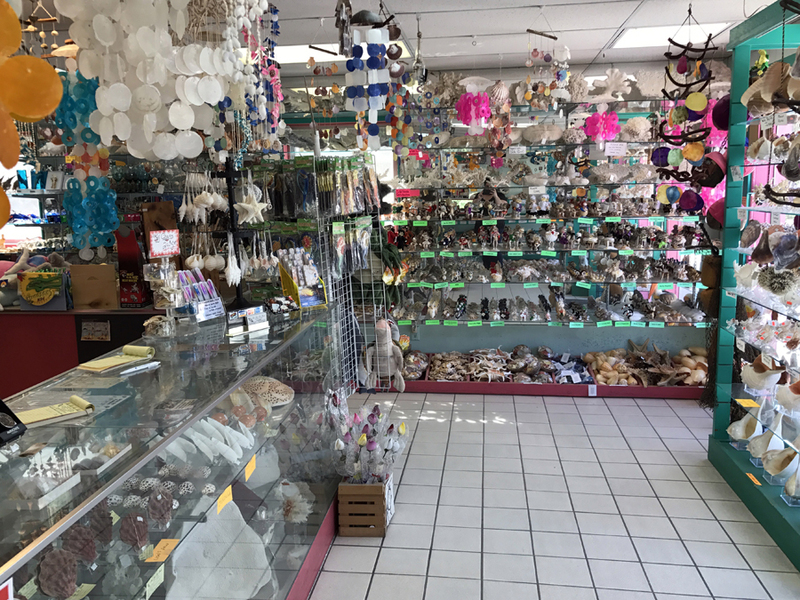 One more wider shot of the store. 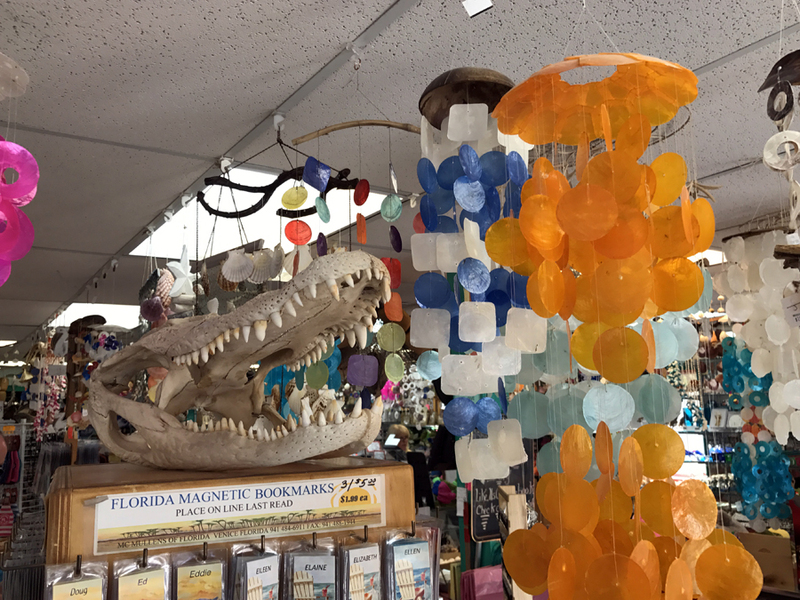 If you ever find yourself on Sanibel, you MUST stop at She Sells Sea Shells. I want to buy a junonia! Do you sell them? 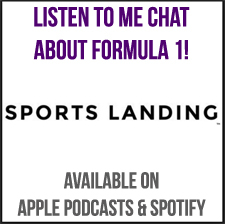 Please let me know!